This is the seventh post in a SGT series that looks at CSA -- community supported agriculture -- from the farmer's perspective. Also check out earlier posts: Adventures in Farming, Managing Expectations, Crop Planning, Add-On Partnerships, Farmer-to-Member Communications, and Preventing Waste. In past posts, I've covered aspects of managing a CSA's nuances in terms of planning, delivery, and communication. But at this time of year, there's an even larger question that comes into play for every farmer, whether they use a CSA model or not: When can we get in the fields? This year, that's proving to be a particularly difficult question to answer, and spring’s late arrival is intensifying the work we do in the greenhouse more than usual. Many types of vegetables are "direct seeded" (the farmer term for planting a seed in a tilled row in a field), but we also do significant preparation for the season by starting some vegetables and herbs in a greenhouse space. Starting plants in the greenhouse gives us an advantagewhen the fields dry out enough to be tilled. 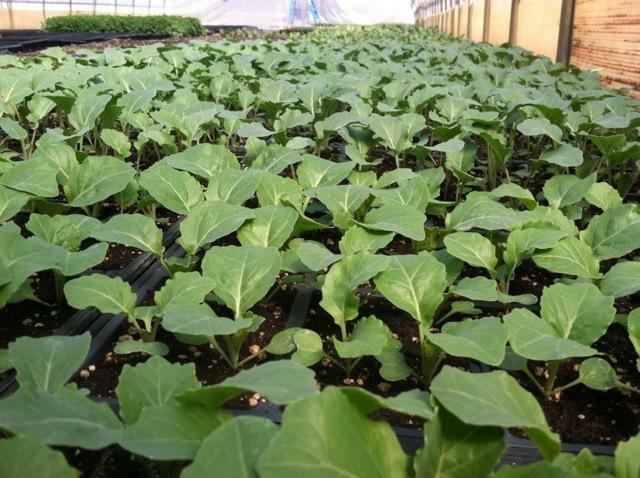 Since some vegetables, like Brussels sprouts, can take over three months to mature to harvest, any kind of advance growing is hugely beneficial for our planting schedule. 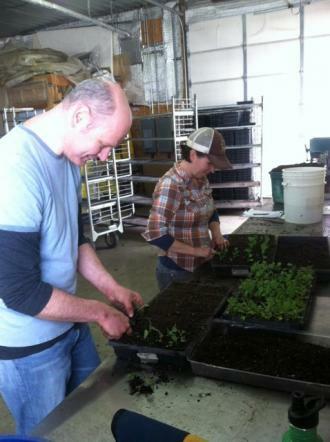 Farm volunteer (and Cordon Bleu instructor) Jonathan Kaye helps me pot up some brassicasLike so many aspects of farming, greenhouse work relies on a blend of experience and optimism. Adhering to a strict schedule is nearly impossible, since conditions can crop up that are beyond our control — for example, getting snowstorms in late April. Our recent spate of storms kept us from getting into the fields, and now we have to wait for the outdoor soil to dry enough for tilling. In general, we begin many plants in the greenhouse that will transition to the field once the weather cooperates. We plant leeks, shallots, onions, and artichokes in late February. 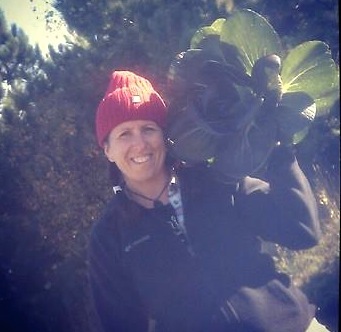 In March, we plant vegetables from the brassica family, like cabbage, broccoli, cauliflower, and Brussels sprouts. Later in the month, and at the beginning of April, we seed bok choy, kale, chard, lettuces, and herbs, as well as the true warm weather crops like tomatoes, peppers, and eggplant. Starting plants in the greenhouse gives each seed a chance to establish a solid root ball before it's put in the soil. We start them in seed trays that might seem a bit too cozy to the casual observer, but their small size keep the seeds insulated and warm. When the plants get well established and large enough that they're crowding their neighbors, we "pot them up," which means putting each start in a larger space so they can continue to flourish without competing for nutrients or endangering expanding roots. At a certain point after the plants germinate, we transfer them to a cooler greenhouse bay and place them on pallets so they can benefit from better air circulation and lower temps. This year, because the fields are far from ready, we need to keep some of the greenhouse space fairly cool in order to slow down the growth rate of the starts. That might seem counterintuitive — who wouldn't want their vegetables to grow as quickly as possible? — but when the starts get too big and they can't get in the ground, that's when we run into trouble. They need room to grow and expand, and when that's lacking, they start to suffer. 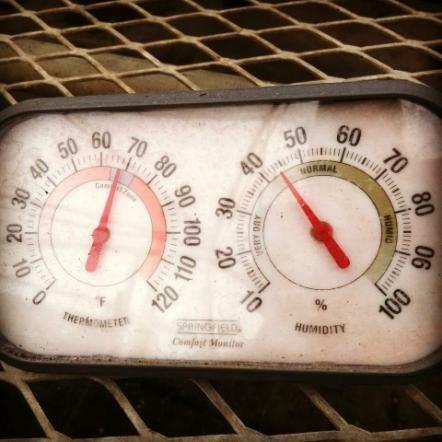 Unlike hothouses for flower production, where the temps are usually steady, greenhouse growing for vegetables can be tricky in terms of temperature control and humidity. Some crops like tomatoes and eggplant need higher temps, while more "cool loving" plants like lettuces and chard are best at lower temps. Balancing the needs of everything that's growing is usually the embodiment of a math class story problem, and this year it's even more so, since nothing can be transferred into the field yet. For some crops we use germination mats, which look like standard heating pads you might use for a sore back, except much larger. We put the warmth-loving vegetables on these mats until they germinate; then we move them to a space that's slightly cooler but still t-shirt temps inside. We put vegetables that can handle cooler days in a different space where they can germinate and keep growing within a certain temperature range. 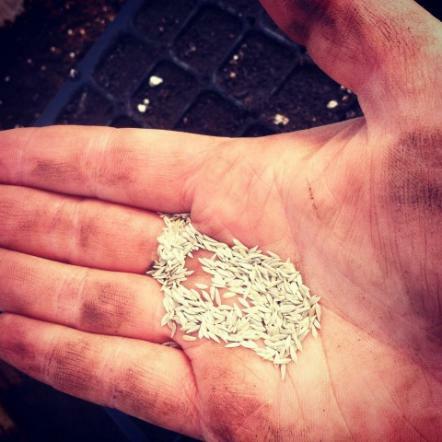 Although greenhouse-grown starts might seem like they require the same strategies as plants that are direct seeded, utilizing a greenhouse necessitates a whole range of different techniques. For example, the space has to be carefully monitored to prevent cross contamination from any outdoor plant sources, like fungus or disease. That means wearing boots that are only worn in the greenhouse, washing hands frequently, using new seed trays instead of last year's trays, and checking seedlings closely for any sign of problems. If disease or pests slip into a greenhouse space, they can wipe out an entire greenhouse of starts, and most greenhouse managers have at least one horror story of loss. Karla prepares to seed some lettuceAlthough all this rain and snow pushes our schedule later for planting, there's an upside to the delay. Because the ground was able to thaw somewhat before these recent storms, the most recent moisture we've gotten will seep into the soil. If the ground had stayed frozen, the snow and rain would have run off instead, similar to parking lots flooding around their lowest points. Considering that Minnesota, like other states, has been in drought conditions recently, this added soil moisture is a hallelujah situation. Last year, our rented land in Dayton received about two inches of rain from July 1st to September 1st, and although we had a modest irrigation system, that level of drought meant the soil became so dry and compacted that we broke two shovels trying to plant in it. Our sweet potatoes looked like pencils when we harvested them — that is, when we managed to break through the concrete-like soil to harvest at all. So, although some of our greenhouse starts are getting too large and too ready, we do welcome the added drink of water – just not for too much longer. In the next installment of Behind the CSA Box, I'll discuss the importance of in-person meetings with members during the season, whether at a meetup or digging in the dirt together. Until then, enjoy the spring (such as it is) and stay bossy!